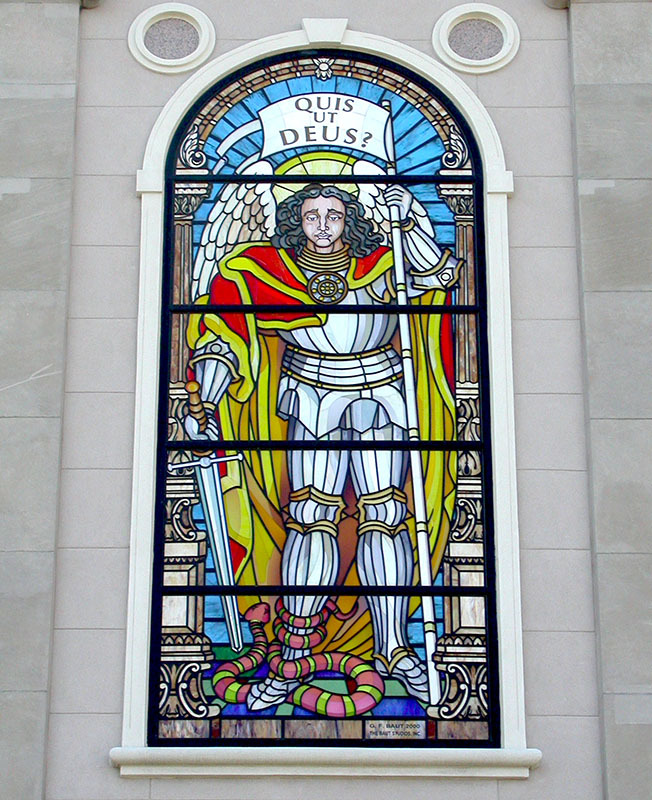 These Structural Stained Glass Mosaics are featured on the front facade of St. Michael Roman Catholic Church in Atlantic City, NJ. 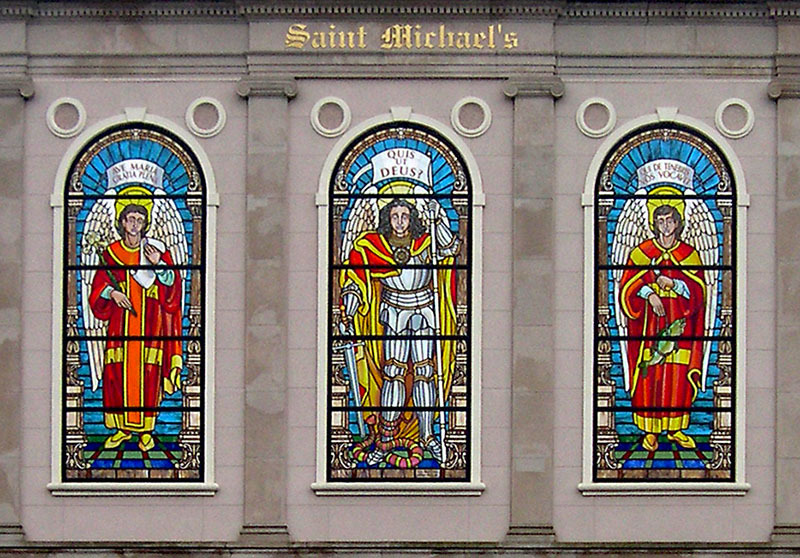 Each archangel, Michael, Gabriel, & Raphael stand over twenty feet high, and will endure all the weather conditionals of an ocean coast environment. 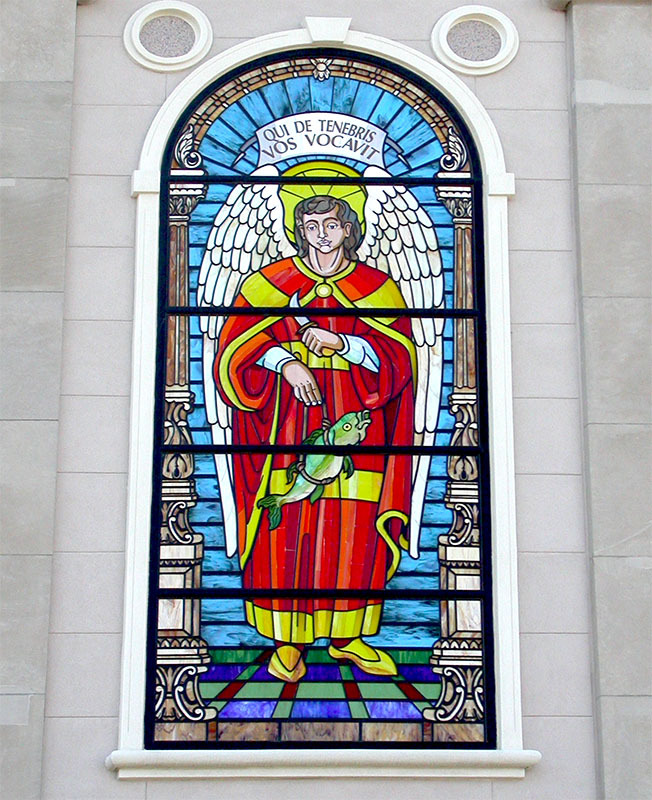 The opaque colors and subtle transitions are traditional techniques of the "Smalti" mosaic. The structural construction allowed for the installation of these "in studio" prepared pieces into a curtain wall type frame.